I hope this blog post finds you well. I’m writing to let you know about what’s going on at Crystal Clear Coaching and my other wellness businesses these days. I feel like things are finally coming together and the foundation for what I lovingly call, my wellness empire, is in place. 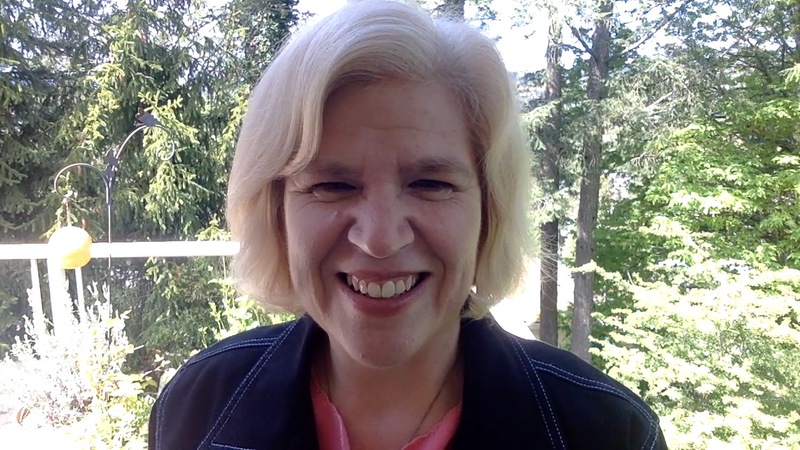 I’m hoping that by offering different types of wellness services and letting my clients choose which approach they like best, whether it’s through mind, body, or spirit, I’ll be able to help people relax and have peace of mind. In their own way, all of these roads lead to wellness, and that’s my vision. Through thoughtful questions and active listening, a coach can offer support in areas such as health, lifestyle, life purpose, relationships, business, career, and spirituality, etc., and can help their clients produce extraordinary, fulfilling, and sustainable results. If you’re considering the idea of working with a coach, I’d love to offer you a free Crystal Mapping Session. Using the wisdom of crystals, Crystal Mapping is a fun and interactive way to chart your own course in life. You’ll get a taste of what my style of coaching is like and from there, you can decide if you’d like to sign up for a series of coaching sessions with me as well. 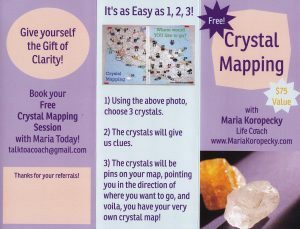 Please visit MariaKoropecky.com for more info and email me at talktoacoach@gmail.com to schedule your free Crystal Mapping session! Book your Crystal Mapping session today! Supporting our own Stem Cell system is the key to good health and in my travels, I’ve found a new and unique aquatic-botanical product that supports our own release of bone-marrow stem cells. It’s a health supplement made from blue-green algae that comes from Klamath Lake, Oregon. 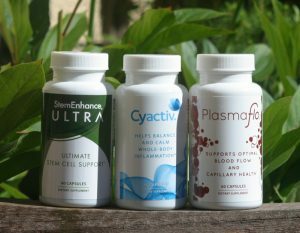 So, if you’d like to hear more about stem cell nutrition, to boost your health, to support your body’s own repair system, and get your hands on these supplements made by a company called, Cerule, please contact me, Maria, by email: talktoacoach@gmail.com. You’re also welcome to visit my Cerule page: wellnessmaria.cerule.com/. Supporting our own Stem Cell system is the key to good health and it’s a perfect complement to wellness coaching! My training in the wellness field started in 2010 when I went back to school to become an aesthetician, so I have another business called Homespunspa Mobile Spa. 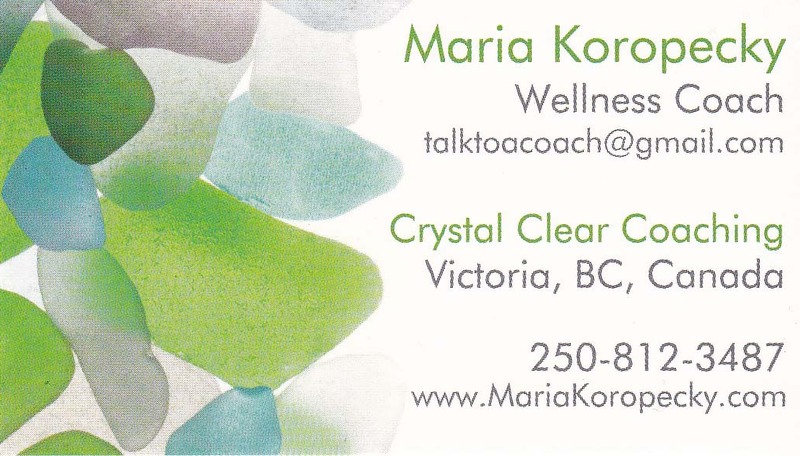 Since 2011, my team of aestheticians, spa therapists, and nail techs and I have done many, many dozens of spa parties in all kinds of beautiful homes, hotels, schools, and offices in the Greater Victoria area, including Sooke, North Saanich, and Lake Cowichan, and have met all kinds of wonderful people along the way. So, if you’d like to host a spa party this autumn, just plump up those throw pillows and invite your friends over for some spa time, and we’ll do the rest! Please visit Homespunspa.com for more info and email me at Homespunspa@shaw.ca to book your preferred date! 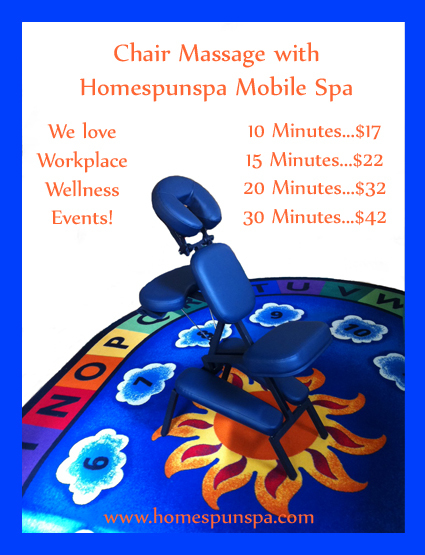 Ask me about adding Homespunspa Mobile Spa services and spa parties to your next Wellness Event or Workplace Wellness Program. 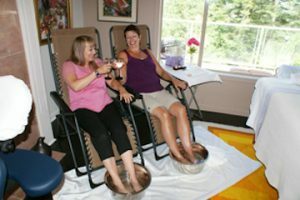 The spa services at Homespunspa Mobile Spa are designed to help people relax and manage stress and if one to one appointments are more your speed, we also offer facials, manicures, pedicures, relaxation massages, and chair massages for individuals. Having a spa service at home saves you time and money and you don’t have to worry about driving through traffic, finding a parking spot, or hiring a babysitter. 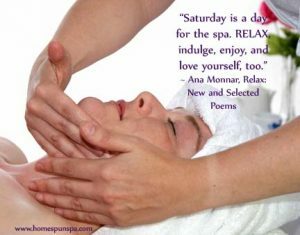 Please visit Homespunspa.com for more info and email me at Homespunspa@shaw.ca to book your spa appointment! Gift certificates are always available. Ask me about how self-care is a big part of a Workplace Wellness Program. As you can see, I’m passionate about wellness and I love helping people be proactive about their health. To further support my mobile spa clients and coaching clients with their health and wellness, I’ve opened an online store called Cruising into Wellness. In store, you’ll find cruise wear, gemstones, jewellery, essential oils, colour bath pigments, tinted eyewear, Dr.’s Remedy nail polish, and so much more! Please tell your friends about cruisingintowellness.com and if you’d like, make a purchase and I can bring your order to you at your next coaching session, mobile spa appointment, or spa party. Check out my new wellness store and save 15% on the whole Medieval Thymes collection until September 30, 2017 @ www.cruisingintowellness.com. And here’s a BONUS for being one of my clients! -> FREE SHIPPING! 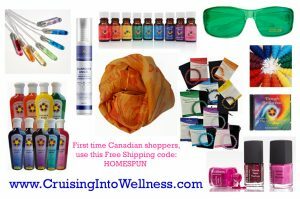 For all of my Canadian clients, (Crystal Clear Coaching, Homespunspa Mobile Spa, and Cerule supplements), I’m offering free shipping on your first-time order of Cruising into Wellness products! Just enter the discount code HOMESPUN at checkout! Looking for incentives to motivate your employees? Visit Maria’s online store, CruisingIntoWellness.com. Anyway, that’s my wellness empire 🙂 in a nutshell! Feel free to contact me if you’re interested in any of these wellness products or services. Hopefully, there’s something here that will help you. Or, if you can think of anyone else who might appreciate what I have to offer, please forward my name to them. Thank you, I’d welcome your referral. I’m at your service. 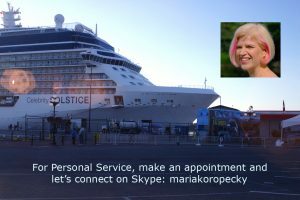 Have questions about Crystal Clear Coaching, Homespunspa Mobile Spa, or Cruising into Wellness? 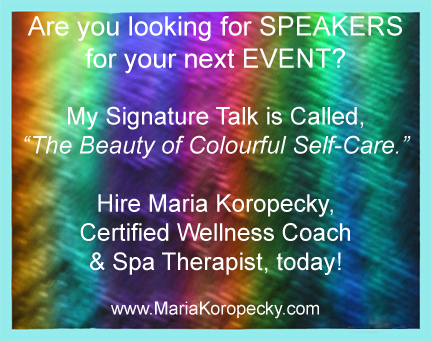 Please contact Maria today. Want to add Chair Massages to your Workplace Wellness Program? Love this Song! Thanks, Natasha! 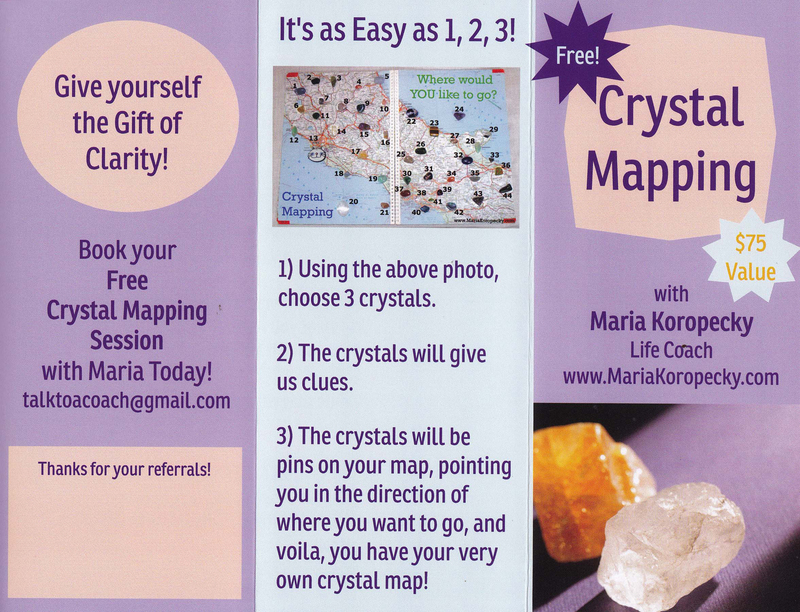 Contact Maria to arrange your free, Crystal Mapping session today!